Logistics and E-Commerce | Greater Fort Wayne Inc.
Indiana ranks high nationally when it comes to logistics, including first for connecting interstate highways and second-largest FedEx air hub globally. Come see why Logistics & E-Commerce is one of the fastest growing segments of Fort Wayne’s local economy. Allen County offers customer access for the Logistics & E-Commerce industry through our extensive transportation network, proximity to the nation’s largest markets, competitive incentives, and affordable site options. This cluster is inclusive of e-commerce retailers, wholesalers, warehousing, transportation, and logistics support. 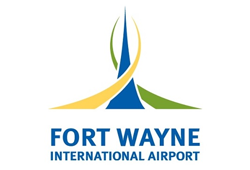 Air cargo service exceeded 9,000 tons departing from Fort Wayne International in 2016. Benefits include foreign trade zone designation and 24-hour FAA air traffic control and customs services. 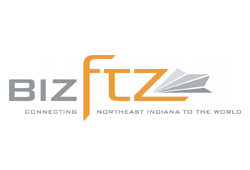 BizFTZ is the Foreign Trade Zone program that operates in an twelve county region in Northeast Indiana. Any company within this area can apply to be a FTZ Operator allowing it to defer, or even avoid, payment of import duties and often enjoy a lower tariff rate. "The growth of Sweetwater is directly related to the business conditions and quality of life in Fort Wayne. We recruit young talent from throughout the United States and beyond, and we’re extremely successful because of the low cost of living, great schools, affordable housing, and a long list of family-friendly amenities." Chuck Surack— Founder and President, Sweetwater Sound, Inc.